Antique Loo Tables were a Victorian design of table originally built for the 17th century trick taking card game loo also known as lanterloo. This design then became known as the breakfast table as it was used more for dining on rather than games playing. 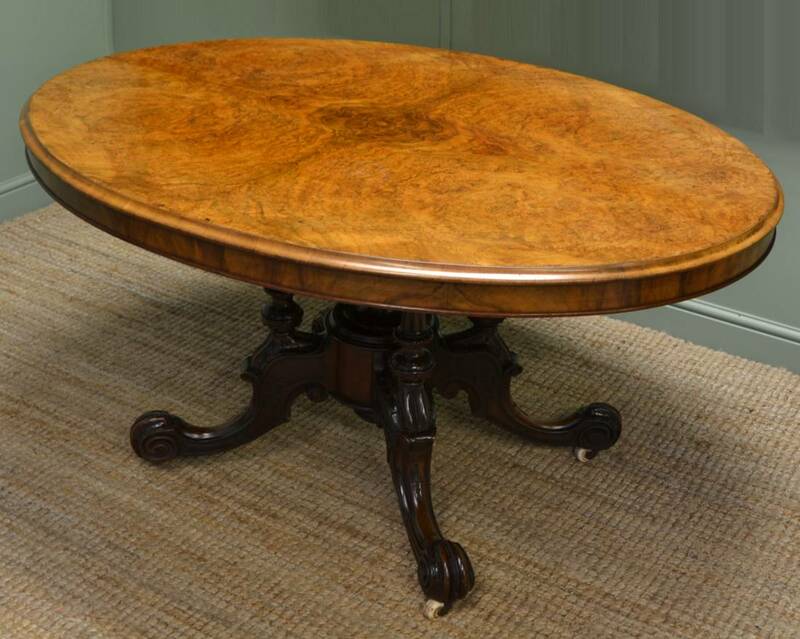 The Loo Table usually has an oval top, very often inlaid in a figured walnut, with a tilting brass mechanism fitted to a pedestal base, enabling it to be easily stored into a corner of a room when not in use. 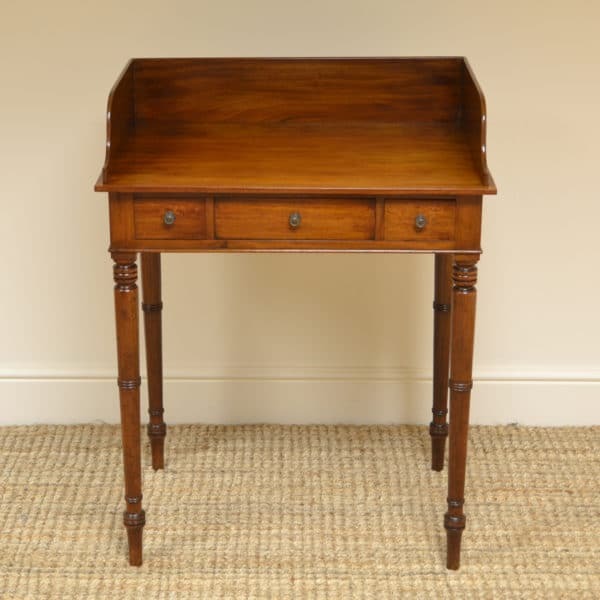 The antique card table ended up staying as the design of choice for games playing, as they didn’t take up as much room in the home and were more useful as a side table when not in use. Have a look below at our lovely examples available for sale. Below are a few examples of previously sold Loo tables, but if any particular style looks of interest please let us know as we do get many similar designs in stock and we can try to locate something similar. 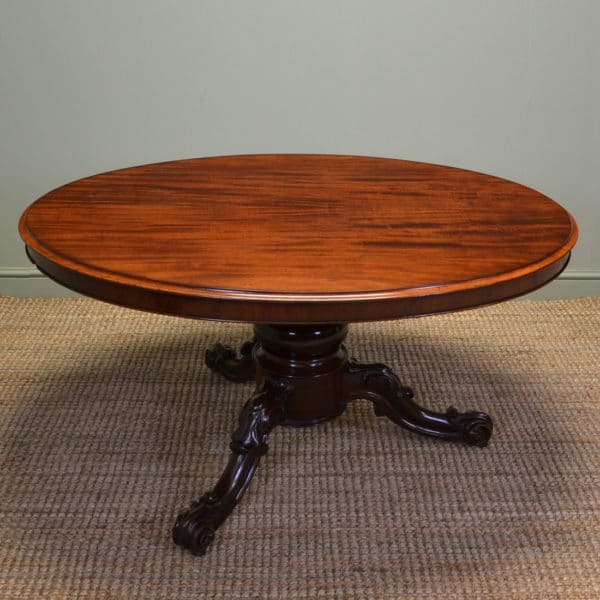 This delightful antique oval antique table dates from the Victorian period, circa 1860, and has been constructed using the finest figured walnut timbers. The oval moulded top is beautifully figured and mirrored and benefits from being able to be tilted upright when not in use, with the original brass mechanism. The top rests on 4 beautifully turned supports with central finial and sits on four out swept scrolled legs with white porcelain castors. 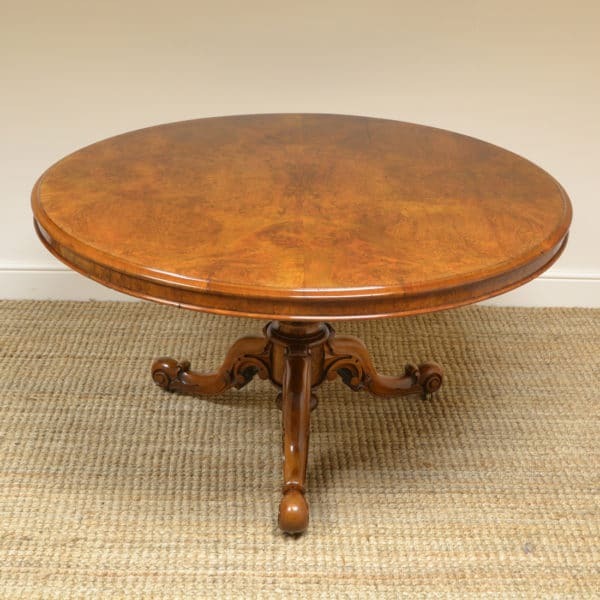 The walnut has aged to a beautiful golden shade with a striking grain, good patina, is in very good condition and has been beautifully cleaned using a traditional form of wax finishing. 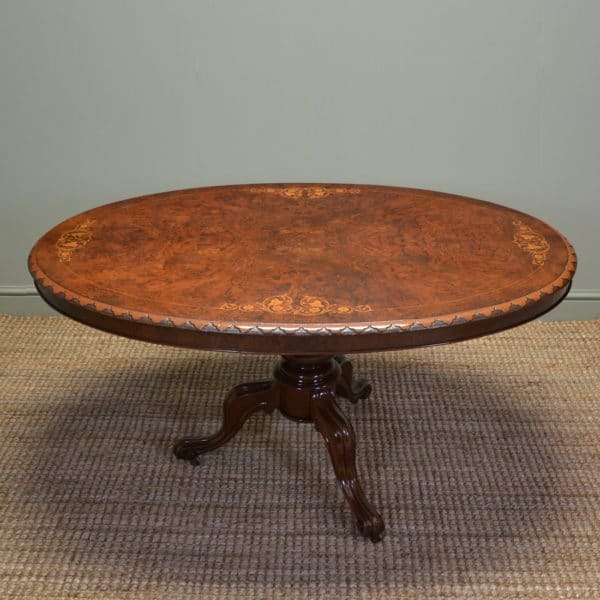 Victorian Inlaid Figured Walnut Oval Antique Loo Table. 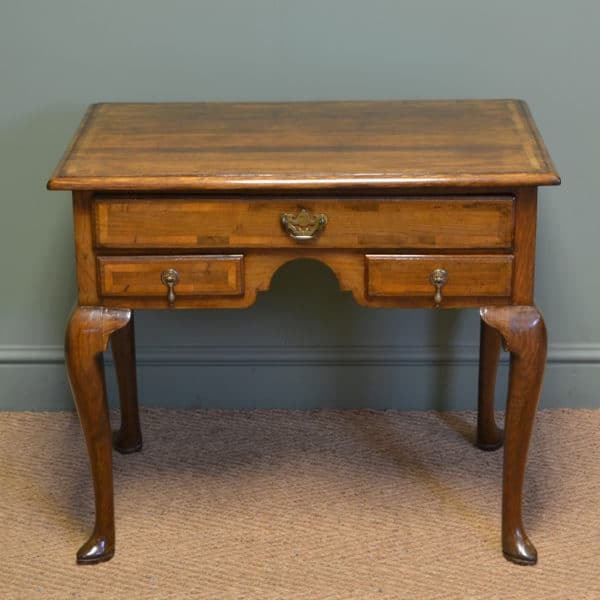 Dating from around 1880 in the Victorian period this antique loo table is made from beautifully figured walnut. 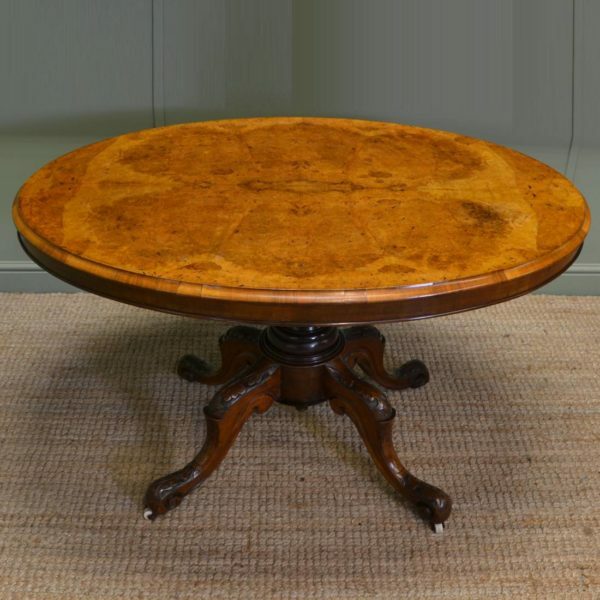 It has a moulded oval top with superbly figured mirrored walnut and intricate inlay detailing. The top tilts and stands on four turned upright supports with a central turned finial. The four splayed legs are carved and sit on brown porcelain castors. 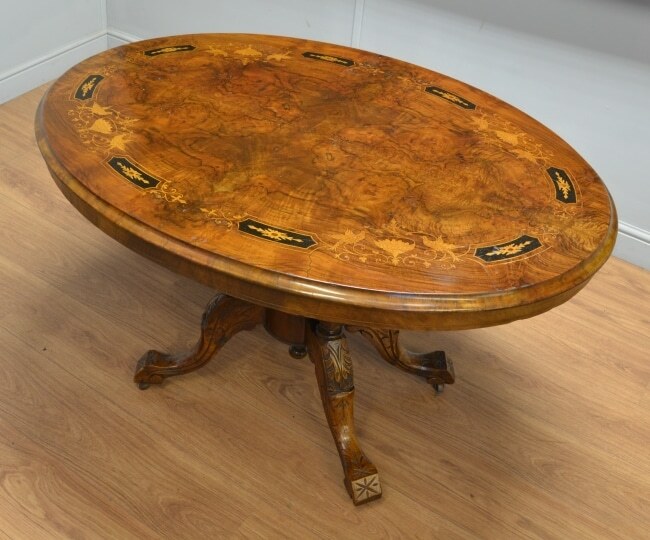 This delightful antique burr walnut oval Loo table dates from the Victorian period, circa 1870, and would make the ideal small dining table. 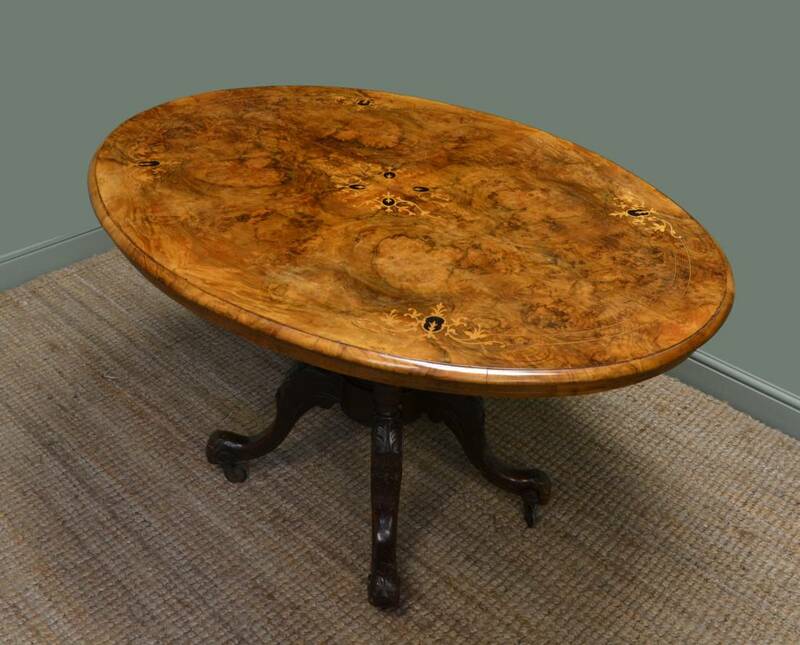 The oval top is quarter veneered being not only mirrored but also beautifully inlaid. The top tilts on the original brass mechanism and rests on a central turned pedestal having four turned upright supports. Dear Mr. Driscoll,The antique table and chairs arrived last week in perfect condition. I wanted to personally write and thank you for giving us such a reasonable price for the pieces and for arranging the shipping. The whole process was very straight forward and simple and went off without the slightest hitch. I’m just glad we had the time, which in the theatre is something we usually have little of, to plan. The furniture is used in Lincoln Centre Theatre in New York, and these pieces were used in a show called ‘A Minister’s Wife’ A MINISTER’S WIFE is a musical based on George Bernard Shaw’s Candida, it is set in London and is about a love triangle among a Socialist clergyman, Reverend James Morell, his wife, Candida, and Eugene Marchbanks, who, infatuated with Candida, aims to win her love.